No matter how much you toss and turn to get into a comfortable position in bed, it’s not likely to get any better on an old mattress – or the wrong type of mattress. All that tossing and turning translates into lost sleep. It might seem like it’s your hip pain that’s making you grumpy in the morning, but it could be the lack of snoozes. One solution is to buy a new mattress, but you might not be in a position to do that. A better idea might be to seek out the best mattress toppers for hip pain. They’re far more affordable than a whole new bed, and they can solve the problem easily. There are a few things to look out for, features you might want, and some pitfalls to avoid. Read through this guide to learn about hip pain and why you might have it, and how a mattress topper can alleviate your pain. Don’t skip the best mattress toppers for hip pain reviews either – they can help you pick out the exact one you need! Why Your Hips Might Hurt – and How to Fix It! The hip is one of the most used joints in your body – and the biggest. It’s a durable joint, but with continued use and over time, the cartilage that protects the bones from friction can wear down. Injuries and extreme sports are just a couple of the ways one might suffer from early hip joint pain. Even sleeping on the wrong mattress can cause hip pain. Here are some of the most common reasons you might be waking up with a sore hip. Older adults may experience occasional hip pain due to osteoarthritis or rheumatoid arthritis. The inflammation of joints can affect your hip joints. As the cartilage breaks down, there’s less cushion for your bones. There’s no cure for arthritis, but there are medications to help. There are also some easy solutions for reducing your pain, such as sleeping on a surface that offers more support and cushion. Typically, hip fractures happen to older adults, as bones become brittle with age. However, a hip break can happen to anyone. Other than giving it time to heal after seeing a doctor, drugs can help you deal with the pain, as well as low-impact exercises and stretching. Make sure you’re getting enough sleep, too, to ensure the healing process goes quickly. One of the most common hip pains people feel at any age is a strain. If you’re doing repeated movements with your hips, such as running, you might strain a muscle or tendon in the area. The pain can be mitigated with over-the-counter painkillers and anti-inflammatories, but you’ll also need to rest and avoid putting too much pressure on the hurt joint. Bone cancer may be one of the painful afflictions, and if it settles into your hip joint, there’s little you can do on your own for it. Icing it can help a bit, but your doctor will have more options for you. In the meantime, make sure you’re getting enough rest and that you’re comfortable wherever you’re getting that rest. Hip bursitis can happen to anyone, really, and it can be incredibly painful. A bursa is a sack of fluid that acts as a sort of shock absorber for your hip joints, and they can swell if they become inflamed due to injury or overuse of the joint. The pain can also be worse at night, which is why it’s so important to have a comfortable bed. We all have points on our body that are sensitive to pressure, and hips are a common spot. Those who suffer from fibromyalgia are even more sensitive. When you sleep on a mattress that’s too soft or too firm, you can wake up with aches and pains. This is especially true if you sleep on your side. You can use medication to help combat the pain or get a mattress or topper that works better for your sleeping style and your body. 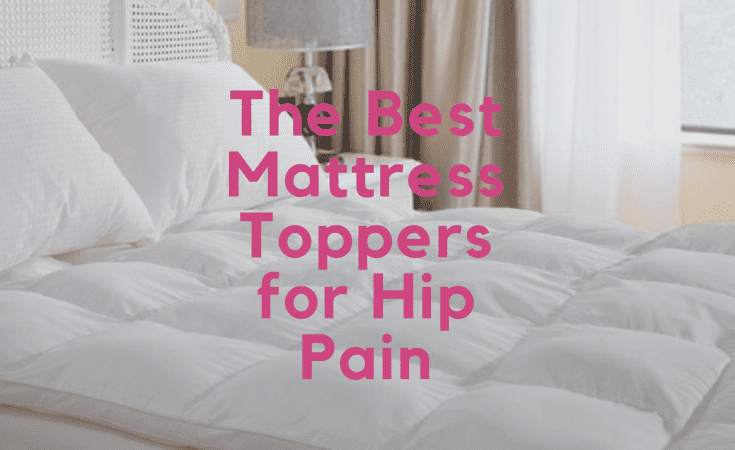 When you start shopping for the best mattress toppers for hip pain, you might be surprised to see just how many options are out there. Some materials and brands perform better than others, but let’s just look at the materials that are used in mattress toppers first and go over how they can help alleviate your pain. 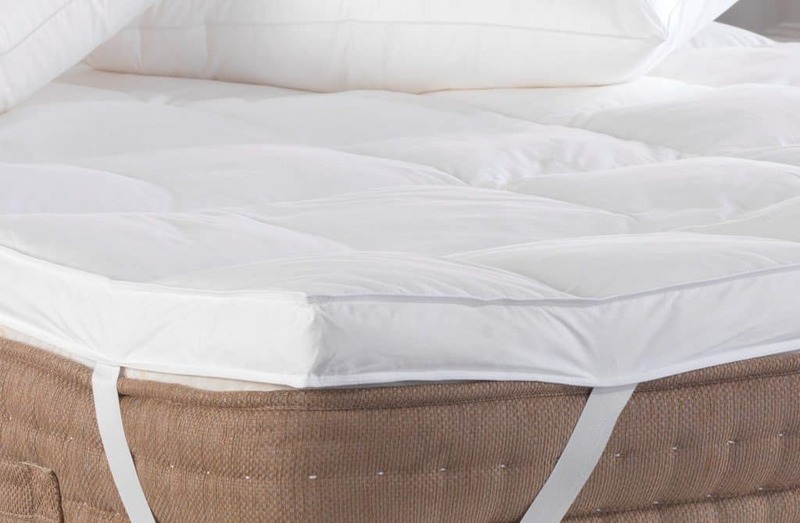 Whether you opt for feather or down in a mattress topper, you’re sure to have a much softer surface to sleep on. Of course, these lofty toppers are lightweight, and so they won’t provide much support or pressure point relief. They’re not at the top of the list for reducing pain. A go-to mattress topper material is memory foam because it’s both comfortable and pressure-relieving. These toppers should conform to your body, cradling you as you sleep. This can make a too-firm mattress feel much cushier. It’s important to remember that memory foam typically traps heat, though. Latex, especially when it’s 100 percent and all natural, is an excellent alternative to memory foam for a mattress topper. These can provide a little extra support for a too-soft mattress, but it still remains comfortable. It’s also a little bouncier than foam, so you should sleep cooler and won’t get that hugging feeling of memory foam. As comfy as a wool mattress pad is, it won’t likely lend you much support or cushion for your sore hips. They are typically soft, but not necessarily supportive. They are temperature regulating, though, so they can keep you cool in the summer, and then warm in the winter. Bamboo is an eco-friendly choice when it comes to materials, and the toppers made with bamboo are silky soft and fluffy. They’ll add softness to your bed, but they likely won’t offer much support. So, this is a good topper to add to a bed that’s too firm. When memory foam doesn’t do it for you, and you don’t want to spend the money on latex, there’s poly foam. This material tends to mimic both memory foam and latex, or a hybrid of the two, which means you’ll get a bit more loft, softness, and support. It can have terrible off-gassing, though. It’s tempting to purchase a pillowtop mattress topper because they’re so soft and look so comfy, but these might not be the best choice for hip pain. A pillowtop mattress pad can shift and lose its shape quickly. Any bed could benefit from a mattress topper, but the Linenspa 2-inch gel-infused memory foam mattress topper is specifically made for mattresses that are a bit too firm. The memory foam acts exactly as you’d expect it to. It cradles your body in comfort when you lay down to go to sleep. The gel infusion can act as a buffer for heat. It may not cool you actively, but it should prevent heat retention, which memory foam is known for. The foam is cushy enough to provide a comfortable spot for you to rest without putting added pressure on your hip or shoulder joints. Theoretically, this topper could end hip pain for you. However, this mattress topper may be affordable because it uses a low-density foam that could collapse under your weight in just a few weeks. If you’re of average weight, you may not have an issue. It also seems that Linenspa has some quality control issues, as many have reported receiving mattress toppers with tears and rips. The three-year warranty may be of use to you. 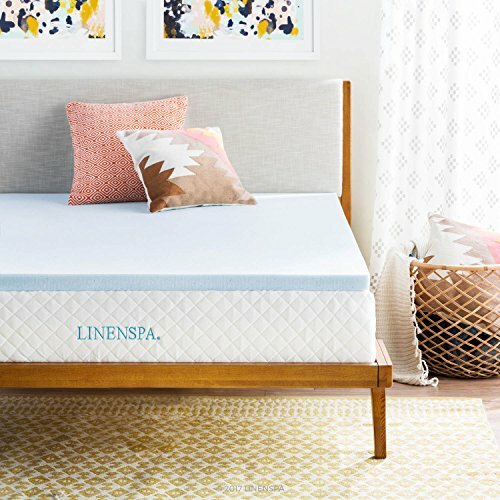 If you need a memory foam mattress topper to help your hip pain that won’t retain heat, this Linenspa one could be a good choice for you. Not everyone can buy a down or feather mattress topper because of allergies. 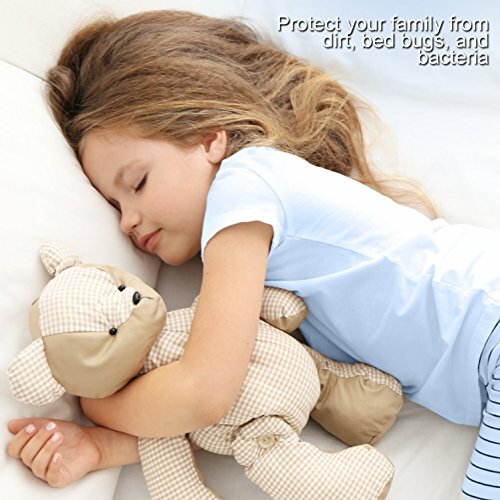 The Pure Brands mattress topper and mattress pad protector (two-in-one product) uses polyfill as a down alternative, so you can get that squishy, fluffy comfort you want to help alleviate hip pain, but you won’t have to worry about watery, itchy eyes or sneezing. This fits on your bed the way a fitted sheet would, and it can stretch around up to an 18-inch thick mattress. That means that you could use this on top of another mattress topper if you want. While the fill is nice and plush, it doesn’t quite reach the three inches of height it promises. Most people who bought this topper said it got to about one inch in a loft, and the loft is lost soon after laying down on it. Still, this is a good addition to a memory foam mattress that may not have that soft and comfortable squishiness you want. This topper also works as a pad to protect your mattress from spills and stains, though it isn’t waterproof. You may get a little annoyed, though, as this topper can slide around on your bed a little. If you want a mattress topper to give your hip pain a rest, but you also need a mattress protector, this two-in-one solution might be right for you. 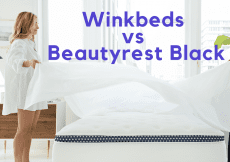 There are lots of choices out there when it comes to finding a hypoallergenic mattress topper that feels plush like down but won’t aggravate allergies. The Duck and Goose Co. mattress topper is one of those options, and for the most part, this fluffy topper does a good job masking the feel of a memory foam or traditional mattress’ too-firm feel. You’ll likely appreciate the box-stitching that’s used to keep the fill from shifting from side to side, which keeps the plushness even throughout the topper. This machine-washable topper fits your mattress with extra-wide, thick elastic straps. It should hold tight to your mattress and shouldn’t slide around at all. It’s meant to fit mattresses up to 22 inches thick, so you could even use this topper on top of another topper and mattress for supreme comfort. However, this may not be as thick as you’d expect. Plus, many people reported receiving used, stained, and damaged toppers from the seller. The good news is that customer support is readily available to help with any issues, and this comes with a 10-year warranty. If you’re looking for a secure mattress topper with that down feeling to reduce your hip pain, then this hypoallergenic down alternative topper could work well for you. The thing about memory foam mattress toppers is that they’re loaded with pros and only a few cons, but those few negative bits might be make-or-break features. 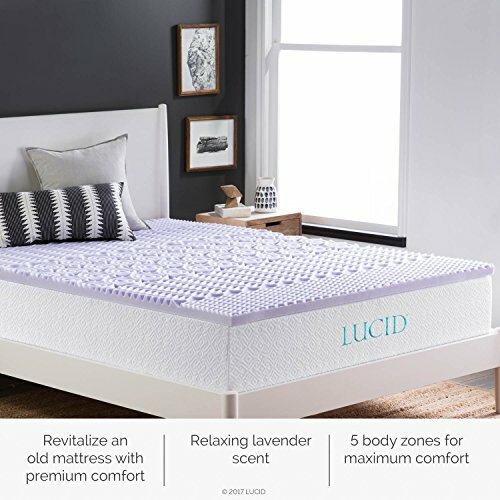 This LUCID 2-inch topper with five pressure point-relieving “zones” is treated with lavender, which, altogether, are supposed to help lull you into a comfortable state for sleep. The lavender, many said, was a bit overpowering at first. A few days is all that’s needed to air it out a bit. And the airing out is necessary for the memory foam to come to its full two inches in height, anyway. The soft foam is comfortable, and the zones are meant to help cushion your shoulder and hip joints to provide both plushness and support. The softness of the foam, though, is fragile, and it could rip easily. So, you’ll have to be cautious when making your bed or moving the topper. Also, and this is a big one, this memory foam mattress topper retains heat like crazy. If you’re a hot sleeper, generally, then this could be too much for you. It is an affordable mattress topper, and if the feel of it works to mask a too-firm mattress, then it could be worth the cons – plus, there’s a three-year warranty to help protect you from any defects. If a memory foam mattress that’s soft, zoned for pressure point relief, and scented with lavender sounds ideal for curing your hip pain, then this could be the one for you. Buying a memory foam mattress topper for hip pain can be a shot in the dark, unless you know for sure that it’s a supportive and soft surface. 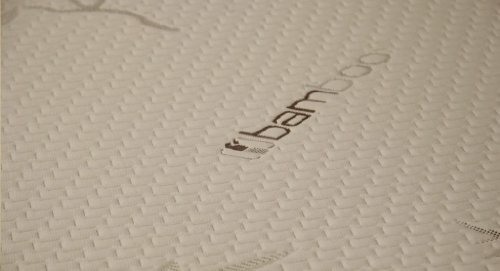 The LUCID 3-inch bamboo and charcoal memory foam mattress topper combines the foam that conforms and cradles with charcoal and bamboo to help reduce odors and regulate temperature in bed. Of course, results may vary. 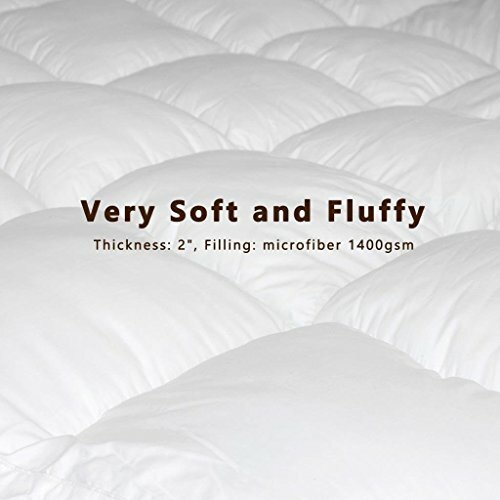 Many people love this mattress topper for its plushness and its relative support. There were several reports of back, shoulder, and hip pain disappearing. However, some said that the pain returned after only a few weeks’ uses. The ventilated surface and infusions are supposed to help with heat retention, and many reviewers said it really works, but there were a handful of others who said this just got too hot to sleep on. Especially when you consider the conforming of memory foam, some said it was too much, and they felt as though they were sleeping in a trench. Even if this doesn’t work for you, LUCID offers a three-year warranty against defects, and there’s a window for returns. If you want a memory foam mattress topper that includes charcoal and bamboo to help with heat retention and odors, and to help relieve hip pain, this one could work well for you. Finding the ideal mattress topper that will add softness and support, and that will relieve hip and other joint pain can be easy. The Dreamfoam Bedding Ultimate Dreams Talalay latex soft mattress topper gives you three inches of extra softness to add to your bed. It’s made of a blend of latex and synthetic materials and then covered with a bamboo cover. This topper won’t aggravate any of your allergies, which is a huge plus for some people. Another benefit of this type of mattress topper is that it shouldn’t sleep hot, nor should it sink in like memory foam. Most people who bought and used this mattress topper said their pain was gone almost immediately thanks to the pressure point relief. This topper makes a mattress that’s too firm much softer. It’s also a breathable mattress topper, so you shouldn’t overheat while sleeping on this. Additionally, this is a super durable topper that won’t easily rip when you adjust it or move it. It is an expensive purchase, though, coming in at about three times or more expensive than memory foam. Also, when you do move this topper, be prepared to deal with a heavy topper, as it’s about seven or eight times heavier than most foam mattress toppers. If you’re looking for a mattress topper to help relieve hip pain, that won’t cause issues for your allergies, and that will add softness to your bed, this could be the best one for you. A mattress topper to reduce pain isn’t a new idea. People have been slapping feature, down, and other soft toppers to too-hard beds for years. It’s kind of the idea of mattresses, anyway. Sometimes a mattress won’t help, though, rather it can aggravate joint pain. If your hips are throbbing while you try to catch some sleep, then a soft mattress topper can help. Some people love memory foam, while others are like the Princess and the Pea and won’t settle for anything less than a down topper. Although all the above reviewed are excellent mattress toppers that could work well for you, one stands out from the rest. 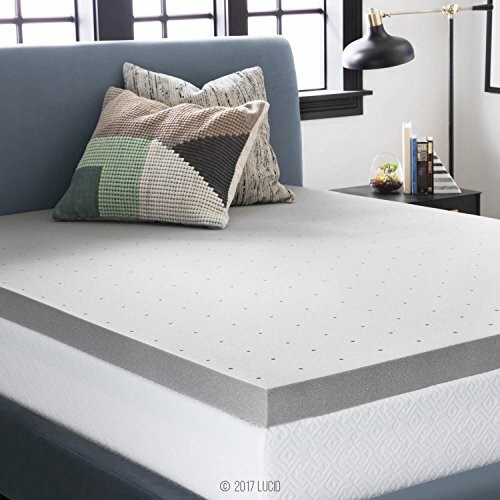 The Dreamfoam Bedding Ultimate Dreams Queen 3″ Talalay Latex Soft Mattress Toppermay be a pricey option, but it could be worth the extra cash for you. Not only is this three-inch mattress topper soft enough to make the firmest mattress comfortable, it’s a great choice for those who live in hot climates. Generally, latex doesn’t heat up the way memory foam can, and it has a bit more loft than foam. You won’t get that sinking-in feeling, but your pressure points, such as your hip and shoulder joints, should be supported the way they’re meant to be. There’s always the chance that this could be too soft for you, but chances are that this is precisely what you need to soothe your aches away and get a good night’s rest. The best mattress topper for hip pain could be this latex blended mattress topper – and perhaps some white noise and a good pillow. Brooklinen vs Parachute: Which Bedding is Best? Layla vs. 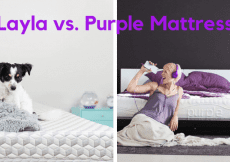 The Purple Bed – Which Mattress is Best?